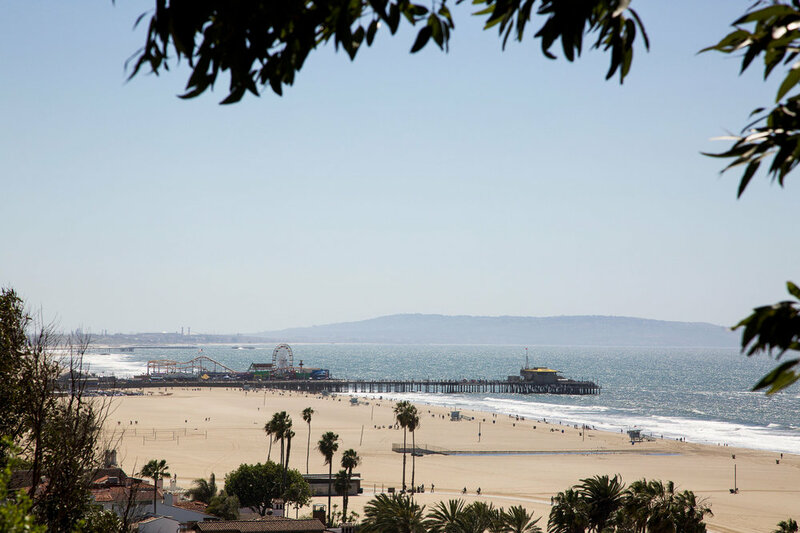 Santa Monica is, undoubtedly, one of my favorite areas in LA. There's plenty to do, great places to eat and drink, and, of course, the location right on the beach, can't be beat. 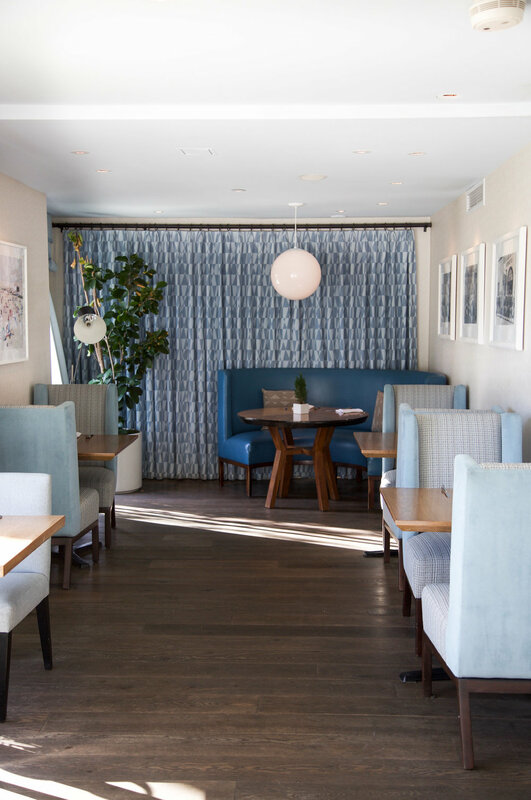 The promenade area can get a bit congested, but hop up a few blocks and you'll immediately be in a quieter, more relaxing part of town, which is exactly where the chic boutique hotel, Oceana Beach Club, is located. 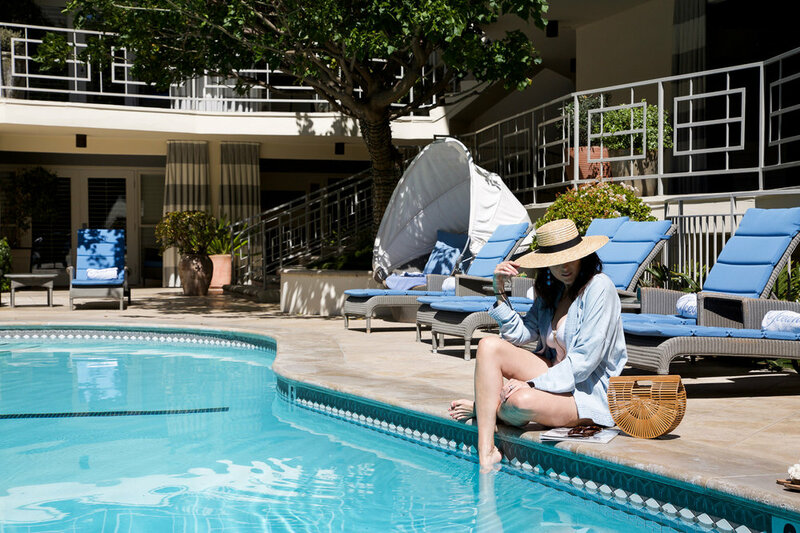 We arrived at the hotel in the middle of a seasonally confused day, after a long, early morning flight, so the peaceful oasis that the Oceana provided was much welcomed, as was the complimentary glass of champagne provided upon check-in. The space was serenely decorated, the staff was incredibly friendly, and I'm pretty sure our ocean view room was bigger than my entire New York apartment (not that that's hard to do, but still...). From the pool space (which, it should be noted, has a pretty little outdoor fireplace sitting area, too), you can easily access the gym and the restaurant, making everything super convenient. We ordered room service one morning and grabbed some small bites in the restaurant on another afternoon, both of which were really good (I often find room service to be underwhelming and anything but fresh, neither of which was the case here). Aside from the food and the space, I absolutely loved the location of the property. As I mentioned before, it was just far enough from the promenade to be quiet and peaceful, but not so far that you couldn't easily and quickly walk or Uber to shopping, restaurants and bars. Last, but certainly not least, my absolutely favorite thing, hands down, were the extra amenities that the hotel offered. From complimentary bikes to guided hikes to surf lessons and morning yoga on the beach (aka absolute heaven) it was nice to have so many outdoor activities readily available. 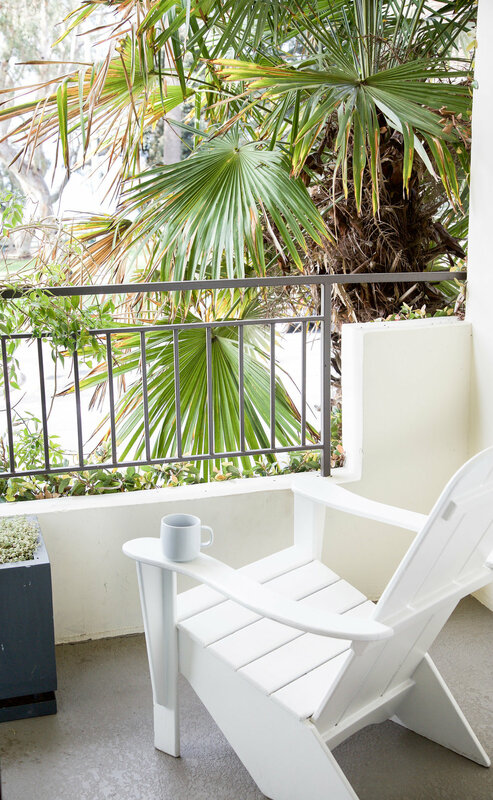 Next time you're looking for a relaxing beachside escape, make sure you check out this little corner of sunny Santa Monica. You won't regret it. Thank you so much to the Oceana Beach Club for the loveliest stay.